The International network that link various networks throughout the world is called Internet. It can also be termed as the network of networks in global form. By using this global network structure, we can integrate different network structure to form a global network. When you surf the Internet, you can see page known as a web page. Every new screen you see is a new web page. A web page can include text, graphics, animations and sounds. The collection of web pages is called websites. Web address takes you to website's homepage, which should introduce you to what that site offers in terms of information and other services. HyperText Markup Language (HTML) is the computer programming language that defines the content, layout, links and graphics that when converted by a web browser creates the web page that we see on our screen. The web pages are developed by using HTML. It is not a programming language, it is a markup language. The markup tags tell the web browser how to display the page for the user. Web pages are also called HTML documents. So, HTML are building a block of web documents. Different tags used in HTML helps to make web pages look attractive. We can create a link between different types of documents and files. We can display data in tabular format. A web page (HTML file) is a plain text file that uses HTML code tags to instruct web browsers to display text and objects in some specific ways. 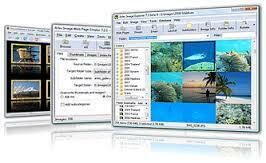 They can be prepared using any plain text editor (such as Notepad) or by using a visual editor such as Web Page. A software application which is used to locate, retrieve, and display content on the world Wide Web is known as a web browser. 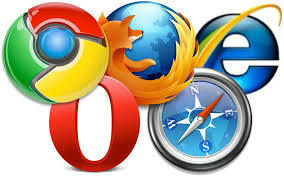 The browser is the client that contacts with the web server and request information. The web server sends information back to the web browser which displays the result, on the computer. The hyperlink is a link from a hypertext document to another location, activated by clicking on highlighted word or image.The hyperlink is the most important feature of HTML. Without hyperlinks, you can't have websites. It creates links between web pages in a website. The International network that links various networks throughout the world is called Internet. HyperText Markup Language (HTML) is the computer programming language that defines the content, layout, links and graphics that when converted by a web browser creates the web page that we see on our screen. A software application which is used to locate, retrieve, and display content on the world Wide Web is known as a web browser. The collection of web pages is known as websites. 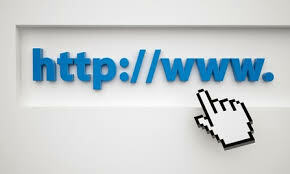 A web page is a document commonly written in HTML that is accessible through the Internet using a browser. 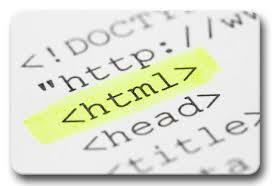 HTML stands Hyper Text Markup Language that is used to develop Web pages. It is a versatile language and can be used on any platform. It was developed by Tim Berners-Lee in 1990. HTML documents have html or html file extensions. HTML is simple language to code and required little time for developing the web page. A document using http that resides on a website is known as a web page. A group of related HTML documents and associated files, scripts and database that is served up by HTTP server on the www is called website. An internet is world's largest computer network connected in a common protocol TCP/IP in order to make communication. It is also known as network of networks. ________ is the computer programming language that defines the content, layout, links and graphics that when converted by a web browser creates the web page that we see on our screen. _________ is a link from a hypertext document to another location, activated by clicking on highlighted word or image. The collection of webpages is called _________. What are the tools for mobile phone to create web pages? Any Questions on 'Web Page Designing '?